The construction costs of the National Football League stadium, which is nicknamed The Vault, were $248 million. It opened as the Ericsson Stadium. Since 2004, the venue has been known as the Bank of America Stadium. In August 2014, the stadium hosted its first match of a football club with a world championship title, when AC Milan from Italy played against Liverpool FC from the United Kingdom. Liverpool Football Club won the match 2-0 in front of 69,000 fans. 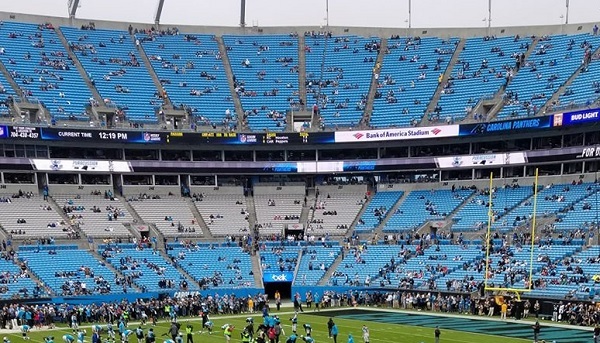 The Carolina Panthers use the Bank of America Stadium for home games. They became one of the first American football clubs with 1 million followers on social media. The Panthers played their home games in their inaugural NFL season in South Carolina. In 1996, they drew an average home attendance of 69,000 in their first NFL season at their current home.